Beta Theta Pi fraternity and eight members of its former Penn State chapter were charged on Friday in the death of student Timothy Piazza, who died after falling down the stairs during a bid acceptance party in February. Among the charges are involuntary manslaughter, aggravated assault, simple assault and hazing. Ten other members will be charged with a variety of crimes next week. Those are the result of a Centre County grand jury investigation into what happened in the house at 220 N. Burrowes St. the night of Feb. 2 and the morning of Feb. 3. The investigation set out to answer why, after Piazza fell around 11 p.m., no one called for help until 10:48 a.m. the following morning, when Piazza was unconscious and, it would soon be learned, suffering from fatal injuries. Piazza, 19, of Lebanon, N.J., would be taken to Mount Nittany Medical Center and then transported to Penn State Hershey Medical Center. It was too late. Piazza had suffered a non-recoverable brain injury, life-threatening spleen injury and other trauma. The 65-page presentment recommended a total of 1,098 felony, misdemeanor and summary charges, while detailing what allegedly happened before, on and after that night, and leveled blame on not only the 18 individuals and one corporation charged, but also on what the presentment describes as a “permissive atmosphere” in Penn State fraternity life that emboldened reckless behavior that led to Piazza’s death. 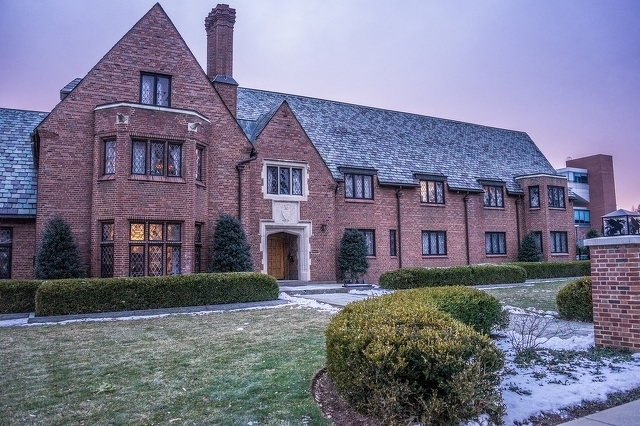 It also detailed a history of alleged hazing, alcohol use at the fraternity, which was supposed to be dry and prohibited from serving alcohol, and service of alcohol during new member recruitment, which is prohibited for all Penn State fraternities. Video surveillance in the house proved critical to the investigation, District Attorney Stacy Parks Miller said. “It’s the story of this crime,” she said. “It captured a crime from beginning to end." Piazza was one of 14 pledges summoned to the house the night of Feb. 2 for a bid acceptance event. Video showed a ritual in the house’s great hall and then the pledges being led out of the room. The pledges, all of whom were under 21, were then sent through what members testified was called “the gauntlet” a series of drinking stations where they were challenged to drink beer, wine and vodka as fast possible. Some of these stations, and the pledges drinking, could be seen on video. According to testimony, fraternity members also freely offered alcohol to pledges throughout the night. The video showed, according to the presentment, fraternity brother Lars Kenyon assisting Piazza to walk from an area near the basement stairs to a couch in the great hall at 10:40 p.m.. Piazza was staggering while hunched over. Three minutes later, brother Nick Kubera appears to be encouraging Piazza to stand up and assists him walking through the dining room to the kitchen and back to the living room. During this time, Piazza was visibly intoxicated and showed difficulty walking. At 10:45 p.m., Piazza stood and staggered toward the front door, which he unsuccessfully attempted to open. He then turned around and staggered toward the basement steps. Forensic pathlogist Dr. Harry Kamerow later testified that he calculated Piazza’s blood alcohol content at this point would have been as high as .36, which he described as a life-threatening amount of alcohol. Piazza's fall was outside the video view and was outlined by State College Police Det. David Scicchitano, who led the investigation with Lt. Keith Robb, based on evidence and interviews. Brother Greg Rizzo reportedly said he heard someone fall and saw Piazza lying face down at the bottom of the stairs. Brother Jonah Neuman testified he saw Piazza lying face-down with his legs on the stairs. At 10:47 p.m. four fraternity members are seen in the video carrying Piazza, whose body appears limp. A bruise was visible on his abdomen in the surveillance footage. The brothers placed him on a couch and sat near him, and Rizzo removed Piazza’s shirt, appearing to administer a sternum rub, to which Piazza does not appear to respond, according to the presentment. Rizzo then dumped a liquid on Piazza’s face and again Piazza did not respond. Another member lifted Piazza’s left arm, which immediately drops to his chest when the brother let go. Brother Ryan Foster appeared next and removed Piazza’s shoes and turned him on his side, at which point Piazza nearly fell off the couch, but did not appear to have a reflexive response. Foster and Neuman then sat on Piazza’s legs to keep him from rolling over. Davis said that when he was told Piazza had fallen down the stairs, he became concerned for his life. Davis said he then sought out fraternity vice president Ed Gilmartin and argued that they needed to call 911. By 1 a.m., brothers in the room observed Piazza vomit and twitch. Foster and fellow members Jerry Coyne and Joseph Ems then filled a backpack with books and placed it on Piazza’s back, believing it would prevent him from rolling on his back. Piazza rolled off the couch and onto the floor at 1:48 a.m. Three brothers then picked him up and “slammed him onto the couch,” according to the presentment. At 2:38 a.m. Piazza rolled onto the floor. He remained there rolling around with the backpack still attached to his back. At 3:22 a.m., he attempted to get to his feet. The backpack came off, but Piazza fell backwards and struck his head off the hardwood floor. Coyne attempted to shake him but then left the room. Piazza was then seen attempting to get to his knees with his elbows on the floor and head in his hands at 3:49 a.m. Minutes later he attempted to stand again but fell face down onto the floor. About an hour later, Piazza stood and staggered toward the lobby area. He then fell head first into an iron railing and landed on the stone floor. He then attempted to go to the front door, but fell head first into the door. Between 5:08 a.m. and 5:14 a.m. he rested on his knees with his head in his hands. He then rolled onto his side, clutching his abdomen. One brother came downstairs, stepped over Piazza then went to the kitchen and returned upstairs. Ten minutes later another brother came down and walked Piazza to the great hall. Piazza fell down three steps and the brother left him there. Eventually Piazza made his way back to the great hall. At 6:44 a.m., fellow pledge Qobi Quainoo entered the room and sat on the couch while Piazza was on the floor. Quainoo then reportedly began to video Piazza using Snapchat. Quainoo testified that he heard Piazza groaning and saw him roll off the couch and onto the floor. He said Piazza brought himself to his knees, leaned on his elbows and placed his head in his hands, continuing to rock back and forth. Quainoo left the house at 7:12 a.m.
At 7:18 a.m. Piazza was seen standing and then staggering toward the basement steps. He was not seen on video again until after fraternity members discovered his unconscious body later that morning. Fellow pledge Daniel Erickson testified that at about 10 a.m. he began looking around the house for his shirt. When he and another member saw Piazza’s shoes in the great hall, they realized he was still in the house and began looking for him. They found Piazza in the basement behind a bar. He was lying on his back, his arms clenched tight at his sides and his hands in the air. His breathing was heavy and he had blood on his face. Erickson said Piazza was cold to the touch, appeared pale and his eyes were half-open. The two men and another brother carried Piazza back upstairs and put him back on the couch. No one immediately called 911. For the next 42 minutes, surveillance footage showed Piazza lying unconscious while fraternity brothers shook him, attempted to prop him up on the couch, covered him with a blanket, wiped his face and attempted to dress him. At 10:48 a.m., McCann called 911. He did not tell the dispatcher that Piazza fell down the stairs the previous night. Erickson testified that before calling 911, the brothers discussed whether they should notify the chapter adviser, Tim Bream, but no one did. Instead, he said, everyone was waiting for fraternity president Brendan Young to arrive to determine what to do. Bream is athletic trainer for the Penn State football team and had a room in the house as adviser. Parks Miller said the investigation looked into everyone at the house, including Bream. He was not charged. The brothers attempted to dress Piazza, but could not because of the stiffness of his body. “Brendan Young immediately put his head in his hands and sat down on the adjacent couch,” according to the presentment. Once Piazza was transported to Hershey Medical Center on Feb. 3, he was rushed into surgery for his abdominal injuries for a laceration to his spleen and hemorrhagic shock. The operating surgeon found his abdominal bleeding so extensive that a second surgeon was called in. Piazza's spleen had multiple lacerations and was covered in blood clots. It was determined to be shattered and was removed. Piazza performed poorly on neurological tests, exhibiting no corneal reflex, no gag reflex and no response to stimuli. He had a fracture at the base of his skull, indicating severe trauma. Neurosurgeons found his brain was swollen and had sustained multiple injuries, which they did not believe he would survive. At 1:23 a.m. on Feb. 4, Piazza was pronounced dead. 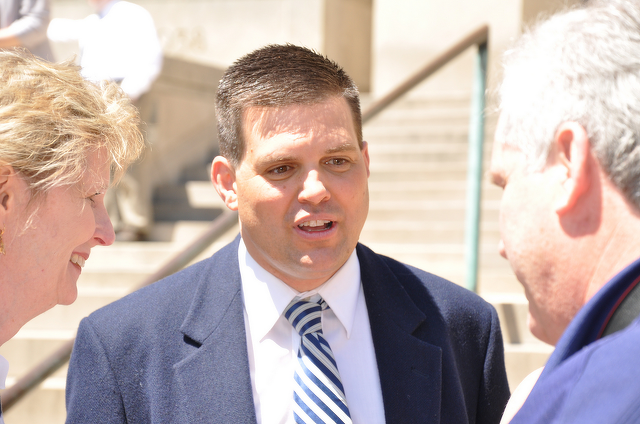 Jay Paterno, a former Penn State assistant coach and son of late Nittany Lion head football coach Joe Paterno, has been elected by alumni to the university's board of trustees.